Here are the films to watch for! (SPOT.ph) We're well into the -ber months by now, but that doesn't mean there aren't any more film festivals for movie buffs to look forward to. So it's best to mark your calendars (and figure out which screenings you'll be attending!) because the 2018 Película-Pelíkula: Spanish Film Festival is happening from October 4 to 20 at Greenbelt 3, UP Diliman, and Instituto Cervantes Intramuros. You can catch the best of contemporary Spanish cinema during the festival, which will be screening over 20 films. The event is organized by Instituto Cervantes, the Embassy of Spain, Turespaña, and the Film Development Council of the Philippines. The festival's opening film will be none other than Javier Fesser's Campeones, the Spanish entry to the Foreign Language Film category at the 91st Academy Awards. Fesser himself will be attending the opening screening on October 3 at 8 p.m. at Greenbelt 3 cinemas. The film revolves around the coach of a top basketball league who gets into an accident. He is then tasked to train intellectually disabled players who have never played basketball in their lives. 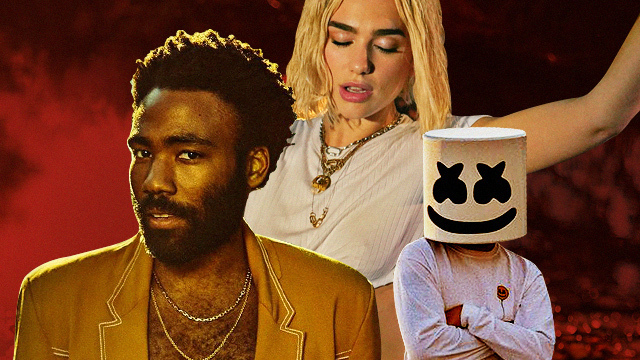 In addition to the critically acclaimed opening film, we list down the ones you might want to add to your must-watch list. For over nine months, this documentary filmed the preparation of the ballet dancers of Béjart Ballet Lausanne and Tokyo Ballet as they dance to Beethoven's Ninth Symphony with the help of the Israel Philharmonic Orchestra. A group of Spanish soldiers are tasked by their king to look for a city made of gold and conquer it for their country. In their quest, they go head to head against indigenous tribes but also against themselves. In this romance-drama, Eva (Blanca Parés) returns to her hometown Málaga in Spain so she can spand time with her mother and her best friend. During her trip, she reconnects with her old boyfriend Rubén (Ignacio Montes), who abruptly ended things with her without any explanation. This comedy follows Carmen (Gloria Muñoz), a devout Catholic woman who wants to become—and believes she can be—the president of a brotherhood. The dream of 40-year-old bachelor Carlos is to work at home in his pajamas. That's exactly what he sets out to do in this funny animated film. The lineup also includes the animated children's movie Atrapa la bandera, comedy Hacerse mayor y otros problemas, and the drama La novia to name a few. There'll also be a screening of Latin American works like Cuba's Últimos días en La Habana and Argentina's The Summit and The Last Suit. 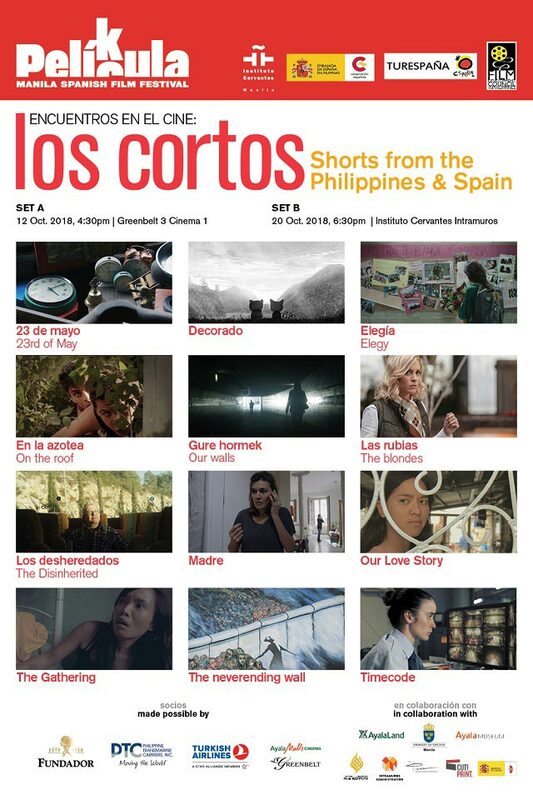 Aside from the screenings of feature-length films, short films will also be screening at the Encuentros en el cine: Shorts from the Philippines and Spain on October 12. Not only will they be showing 10 Spanish shorts, but it'll also be the premiere of two short films: Arvin Belarmino's The Gathering, and actor Xian Lim's Our Love Story, which is his directorial debut. For more information, visit the Facebook event page of Película-Pelíkula: Spanish Film Festival.